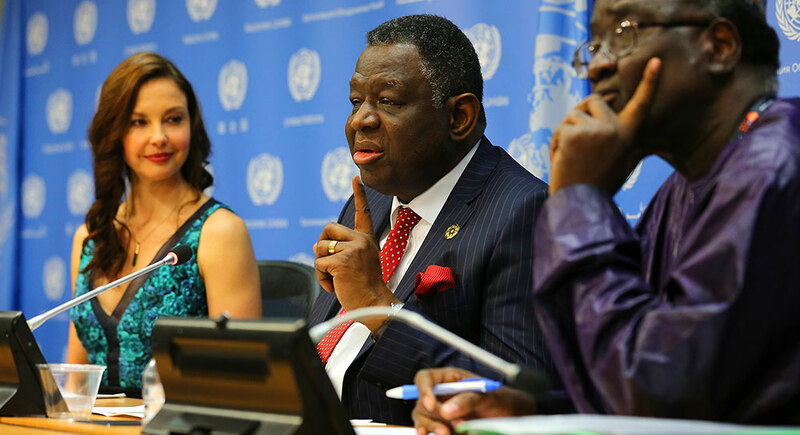 In this March 15, 2016, file photo, Director Dr. Babatunde Osotimehin and Abubakere Dungus of UNFPA attend a press conference in New York City, held to announce her appointment as The U.N. Population Fund's (UNFPA) Goodwill Ambassador. When President Donald J. Trump cut U.S. funding to the U.N. Population Fund, abortion advocates howled. But Trump made the right call. The billion dollar-a-year agency has run out of reasons to exist, even by its own metrics. The agency still relies on the same “overpopulation” gimmicks that justified its creation in 1969. In a 2011 media stunt in hot and crowded Manila, it “welcomed” the seven billionth human born. The world is indeed getting more crowded, but not with babies. Old people are expected to outnumber youth on the planet within sixty years. From investment firms to national security analysts, experts agree: Many countries suffer not from overpopulation, but from a sharp decline in fertility. It took western countries a century to grow old. Developing nations are managing the feat in just one generation. 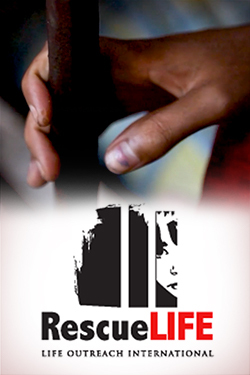 Their ability to seize the promised “demographic dividend” is fading fast. The World Bank has identified a waning appetite for consumer goods in the geriatric West. They say today’s developing economies won’t be able to manufacture their way to economic growth like China did. Demographers have been ringing the alarm bell for two decades. Yet the U.N. Population Fund has forged ahead with its mission to limit births. The Fund claims to help couples have the number of children they want. But the facts show the opposite. It does nothing to relieve infertility. It promotes education for women and girls, but does nothing to help women who want to have a large family. On the contrary. The UNFPA offers the same answer for every woman: Have fewer children. Yes, the U.N. Population Fund has added to its portfolio to remain relevant. It opposes female genital mutilation, endorses maternal health, abhors the spread of HIV/AIDs, and promotes adolescent and women’s rights. But the U.N. already has agencies with these mandates, such as the World Health Organization, UNAIDs, UNICEF and U.N. Women. Planned Parenthood said President Trump would “kill” thousands of women this year because they won’t get U.N.-funded contraception. But the Fund did not save a single life last year. Rather, it helped “avert” two thousand theoretical deaths in childbirth by providing contraception. Even the U.N. Population Fund’s claim to the mantle of women’s rights is spurious. China’s abusive family planning program has persisted under its watch. Even Beijing has admitted it went too far. The Chinese National Health and Family Planning Commission now allows for two children. But it still exacts punishment on couples who have one more. That includes the threat of forced abortions, loss of livelihoods and homes. And still the U.N. Population Fund defends its partnership with the Chinese agency. Women are quite capable of making up their own minds. The U.N. Population Fund, however, often doesn’t like what they decide. When shell-shocked Nigerian families welcomed back their daughters abducted by Boko Haram, they found that the girls had suffered unspeakable abuse. What did UNFPA recommend? Abortion. For this, its executive director was rightly rebuffed. But the organization’s leadership can’t seem to help itself. They act as if ridding the world of unintended pregnancies and unwanted children will help solve every problem. What the U.N. Population Fund won’t admit is that “unintended” and “unwanted” are social science constructs, not the sentiments of parents. Such terms often contradict what women really say. A woman may tell a researcher that her beloved child was never “unwanted.” The researcher, however, may code her child as “unwanted,” due to a survey question she answered years earlier about desired family size. Women are quite capable of making up their own minds. The U.N. Population Fund, however, often doesn’t like what they decide. Hence much of its spending goes to “advocacy.” Translation: Trying to convince women they should stop at two children. Defying still more facts, the UNFPA insists that lack of access to contraception is a global crisis. Just like the “crisis” of overpopulation, the agency stretches credulity to the breaking point. It claims 225 million women want, but cannot get, contraception. It even posted the myth on a massive Times Square billboard. Yet the Guttmacher Institute assures us that only four or five percent of those 225 million women say they don’t have access. The rest don’t want it. In other words, the global family planning market is already nearly saturated. It’s time for the United States and its partners to shut down the U.N. Population Fund. Its billion-dollar budget should be used to solve real problems, not chase the ghosts of the 1960s. Susan Yoshihara, Ph.D., is senior vice president for research at the Center for Family & Human Rights (C-Fam). My opinion is and has long been that the UN wants to be the head of the NWO and to do that they must have control of population, courts, armies and religion. We should help them pack their bags and move to Brussels where they have a building already built for them. We should not just defund part of our participation, we should walk away from these corrupt human no-rights abusers entirely. I can’t help but wonder if there’s a subtle racism at play here. Most of the world’s population growth right now is in Africa and southern Asia. Does that worry the mostly Europeans who run the UN? Population control advocates, since Sanger’s day and before, have tried to limit the number of African and Asian children. They don’t even really try to make a secret of it. They never really show their hand about their reasons for doing so, but I do not think there are any but nefarious reasons for trying to control how many children are born anywhere to anyone. This is just more of the devious lies of the enemy by the devil’s minions. If they don’t wish to be called the devil’s minions, they can quit behaving like them.